The Château Baccarat tumbler has a sharp aesthetic and contemporary design that melds form and function. Inspired by the taste-vin silhouette that sommeliers use, the shape aerates the drink and allows it to achieve a full, smooth flavor. The wide base tapers at the rim, which prevents the alcohol, when swirled, from rising too high within the glass. The shape also allows subtle aromas to diffuse, filling the vessel with a concentration of richness and complexity. Crafted into a stylish and cunning shape, the tumbler adds distinction and elegance to any soirée. The tumbler is a sophisticated addition to a well-stocked home bar, or a gift perfectly suited to the discerning liquor connoisseur. 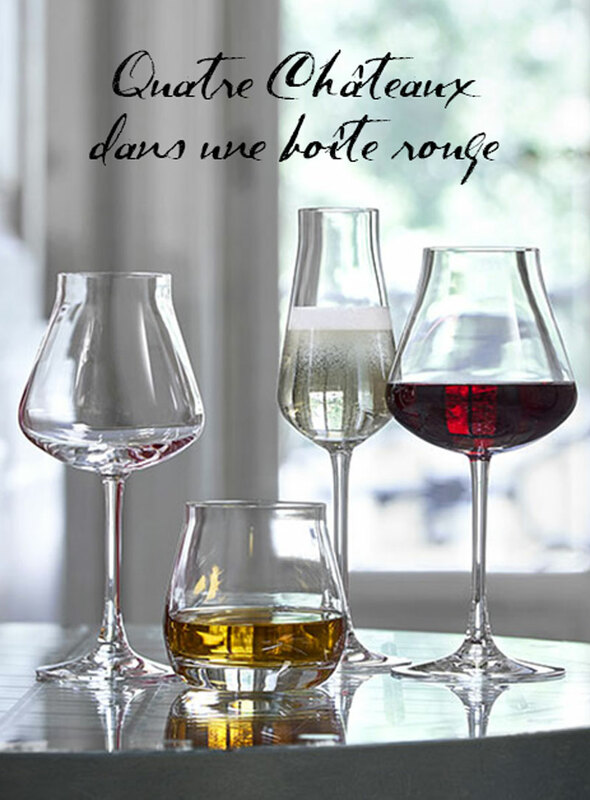 Château Baccarat collection also encompasses wine glasses and a decanter.